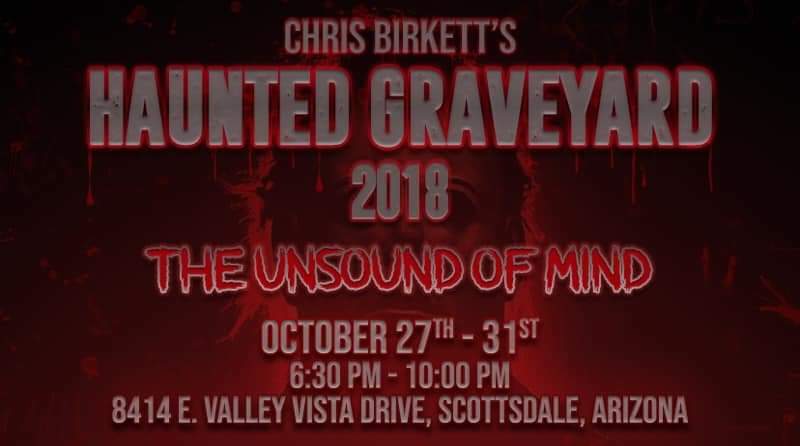 Haunted Graveyard Arizona is a Haunted Attraction located in Scottsdale, AZ. When hinges creak in doorless chambers and strange and frightening sounds echo through the halls. Whenever candlelight’s flicker where the air is deathly still, this is when Chris Birkett’s HAUNTED GRAVEYARD is present Terrorizing with Ghoulish Delights.